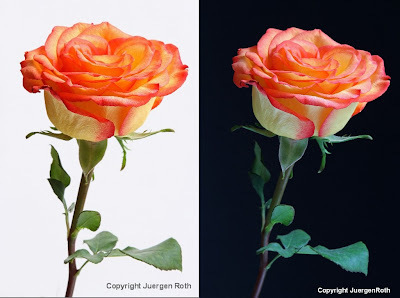 Overcoming high contrast condition is not a mission impossible in photography. 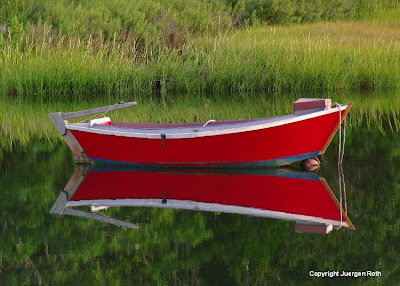 We as photographers are often challenged by difficult lighting conditions due to the high contrast of a sunset sky and the darker landscape scenery of a landscape in front of us, as in this landscape photograph of a blue dinghy, green marshland, and surrounding woods on Cape Cod. Metering on the boat and landscape scenery provided detail and good exposure in that area but blew out the beautiful sky colors because of the longer exposure time. On the other hand, metering on the sunset sky provided nice sky and cloud colors but little to no detail in the landscape and blue boat because of the shorter exposure time. As a solution I used the exposure time from focusing and metering on the blue boat that provided a correct exposure setting for the marsh landscape and dinghy in the foreground. I then hand-held a 1 stop graduated neutral density filter in front of my lens, placing it near the edge where sky and landscape met. 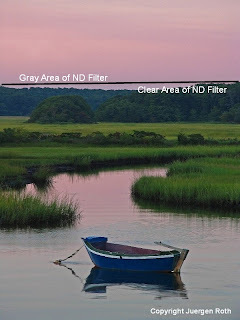 Applying the 1 stop split neutral density filter reduced the incoming light on the sky and clouds above the horizon, maintaining its colors while the blue fishing boat, marshland, wooden area, and sky reflection in the river were correctly exposed for a Serene Cape Cod landscape photography with impact and strong foreground composition. Even after photographing for nearly two decades, Mother Nature still catches me by surprise. The little things that she provides near my home, at my home, or on the road still give a never ending inspiration. Just the other day, I had one of these moments when I discovered a tiny 2 inch autumn leaf on our living room window. What amazed me the most was that it was so perfectly straight and aligned. Curiosity kicked in and made me wonder how the leaf actually ended up where it was. 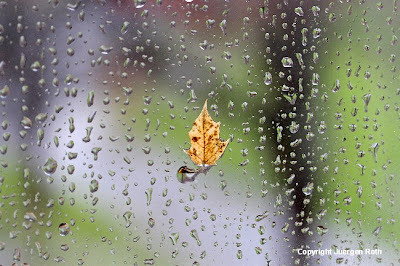 If one thinks about it, the fall leaf must have been blown off a tree nearby to start its journey, traveled through the air and then with the help of the rain and raindrops glued itself to our window. 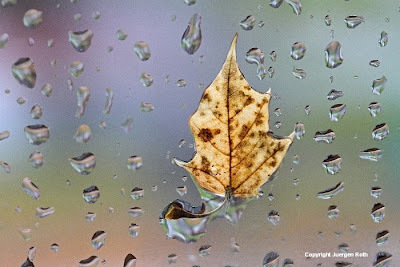 And this all happened over night during a feisty rainstorm, early in the morning or just seconds before I looked out of the window to figure out what the possibilities for exceptional nature photography would be that day. Mind boggling, isn't it? Because the lighting on the leaf was so exceptional I had to pull out my camera and tripod. The beautiful neon like leaf illumination was created by an overcast morning light where the sun is almost breaking through the clouds. The background in the picture was made of the lawn and trees in the park opposite our house. So, who is your Santa? Mother Nature definitely is my Santa and if I open my mind and eyes, she brings joy, day in and day out. Happy Holidays and Happy New Year! 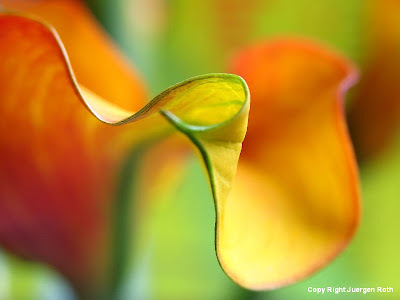 This week's photo of the week is Zantedeschia showing an abstract version of a beautiful orange Calla Lily. Juergen composed around the forms and orange tones while using lines and edges to guide the viewer through the photograph. Learn more about this photo and his award winning photography at his nature photography blog "Where in the World is Juergen?". 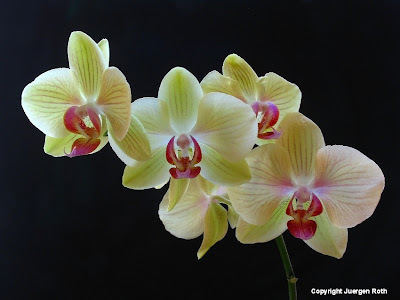 Starting today through the week of 12 December 2011 this Flower Photography image, available as art print or on canvas, is on sale. There are many elements of design, which include shape, line, pattern and texture. When combined, we experience form within a two-dimensional media. Each of these can make or break a photograph. I consider them equally important, but I look at the element of form as the most important element of art. Forms are defined by their ... Learn More. This week's photo of the week is Radiant Orchid showing beautiful flower photography artwork in full bloom. Starting today through the week of 04 December 2011 this Flower Photography Artwork image, available as art print or on canvas, is on sale. 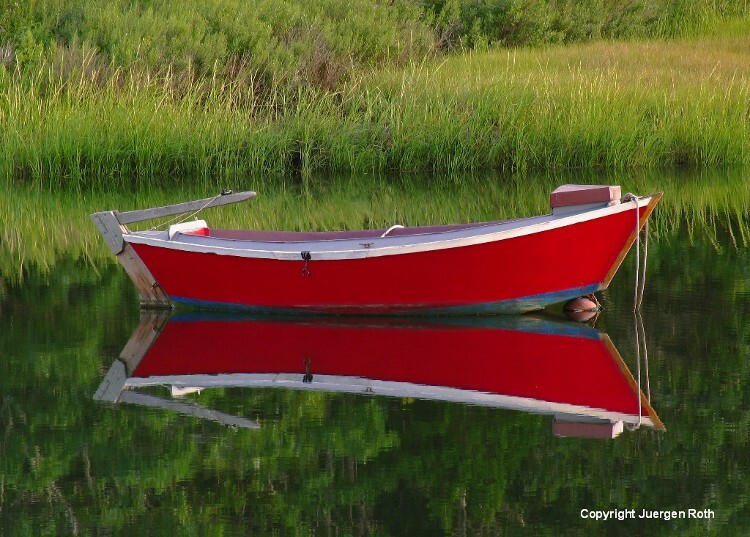 Follow the link and comment on my Serene Cape Cod photography artwork for a chance to win a signed 8x10 print, framed to 14x17 inches. 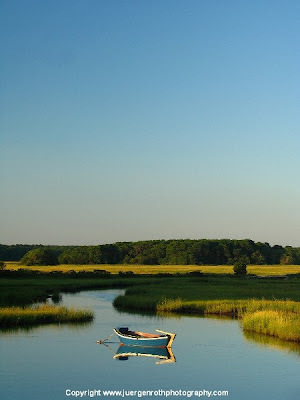 The signed and framed photo print of this Massachusetts Cape Cod photography will be raffled off from all comments on 15 Jan 2012. 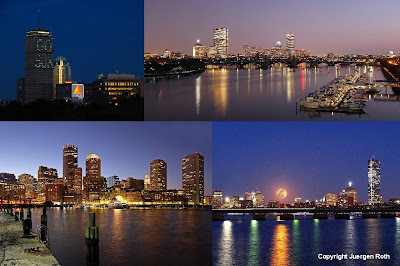 This includes free shipping of the photography art ... good luck!